This past weekend I got to help out with a Community Science Day at my son's co-op preschool. My favorite thing about the event was that all of the science activities were very simple and many could easily be done at home. I thought it was a great way to help parents realize that they can do simple science activities with their kids! Today I want to share 2 Simple Science Activities for Toddlers with you that we did at science day. These were my toddler's favorite activities and we will be trying them again soon at our house! I did not create these activities. They were put together by the awesome director at my son's preschool and I think your toddlers (and older kids) will love them too! Materials Needed: white contact paper, scissors, eye droppers, cups, paint, water, two trays, and wooden blocks. Create a ramp using plastic trays, thin cardboard boxes, plastic clipboards or other materials you have around the house. Elevate the ramp surface by putting wood blocks underneath them or propping up one side using anything else you have around the house. If you have a plastic kid's slide, that could be a fun larger ramp to use! Put some watered down paint into cups. It is great to have several colors to choose from! Give your toddler a dropper and have her drop the paint onto the ramp and watch how it moves from the top to the bottom. It is also fun to see how the colors mix. 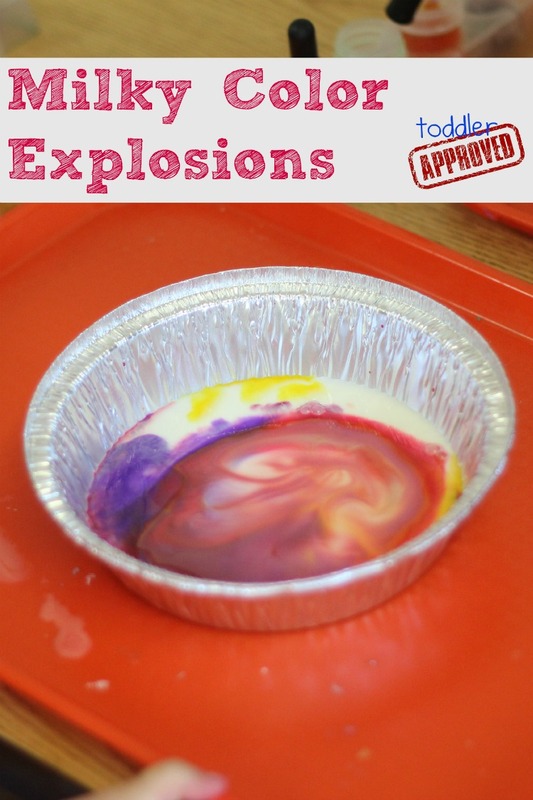 This activity can teach about gravity, color mixing, simple color recognition, and can also help your child work on basic fine motor skills. 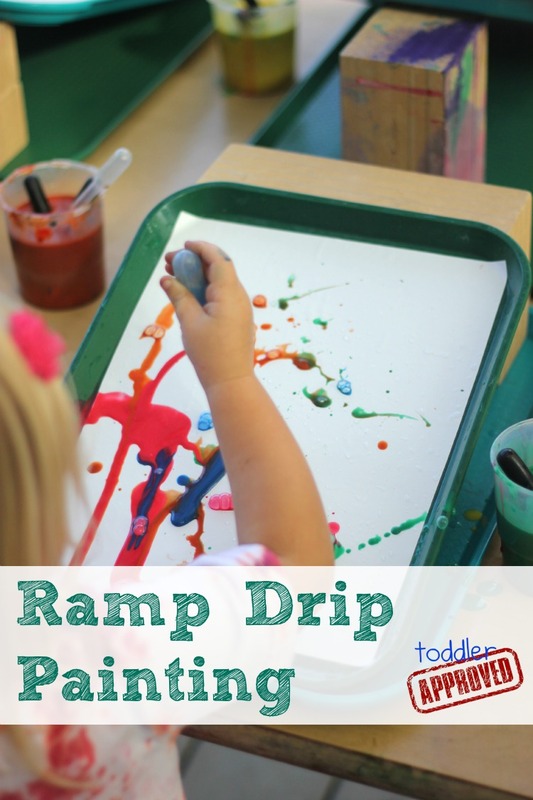 Using a dropper and manipulating it to drop paint in a particular spot can be hard work for a toddler! If you use contact paper you can just rinse off your surface again and again and keep creating! 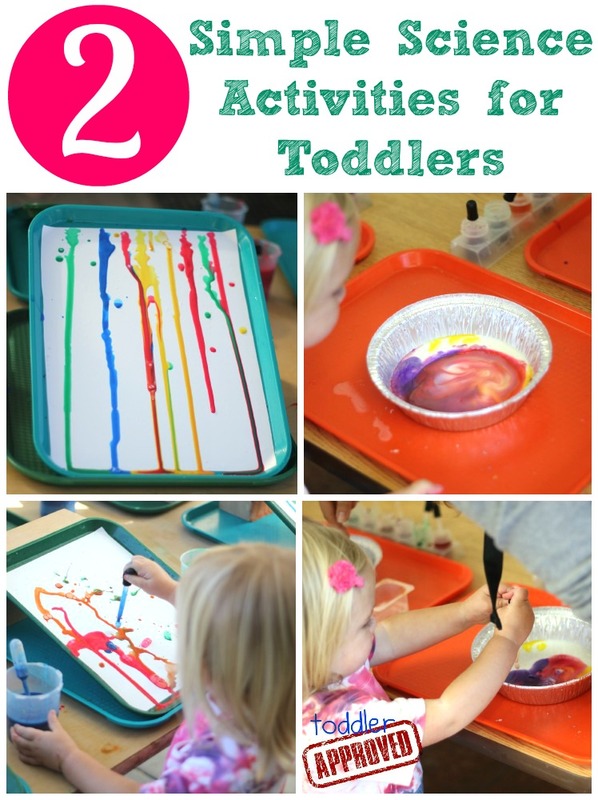 This drip painting activity by Child Central Station looks like it would be a lot of fun too! Materials Needed: pie tin, toothpick, whole milk, cups, liquid water color, droppers, and dish soap. Fill up a pie tin with a little bit of milk- enough to cover the bottom of the tin. Give child a dropper and let them put several drops of liquid watercolor into their milk. Dip a toothpick into liquid dish soap and have them touch their colored milk with the toothpick. The reaction of the paint is awesome and will have your little ones wanting to do it again and again. The colors move away from one another because the surface tension changes. We learned that it is really important to keep the soap and toothpick far away from the paint and paint droppers... otherwise the reaction stops working because everything has touched soap! This experiment definitely isn't new to me (I love this post about it on Modern Parents Messy Kids and how they use the remnants for more crafting!) but I had never seen it done before in person so it was fun to try it out! This activity can teach about color mixing, surface tension, color recognition, following directions, and can also work on strengthening little fingers using a dropper. Do you have any other favorite simple science activities for toddlers that you like to do at your house? 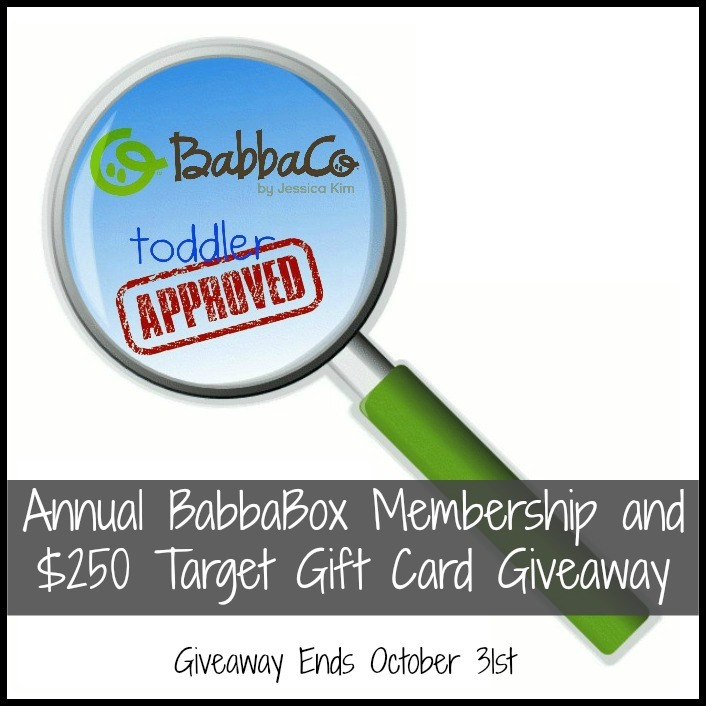 If you missed yesterday's post, make sure to enter our awesome Annual BabbaBox Membership and $250 Target Gift Card Giveaway! Click here to sign up and find out more details. These look like fun! It was be interesting to watch how fast different substances drip. This looks fun and also not too messy! I love when art meets science! I bet they loved watching and predicting which color might drip fastest. Pinned these fun ideas.